Wedding hashtags have been a big trend in the recent years and with social media use constantly growing they aren’t going away anytime soon. 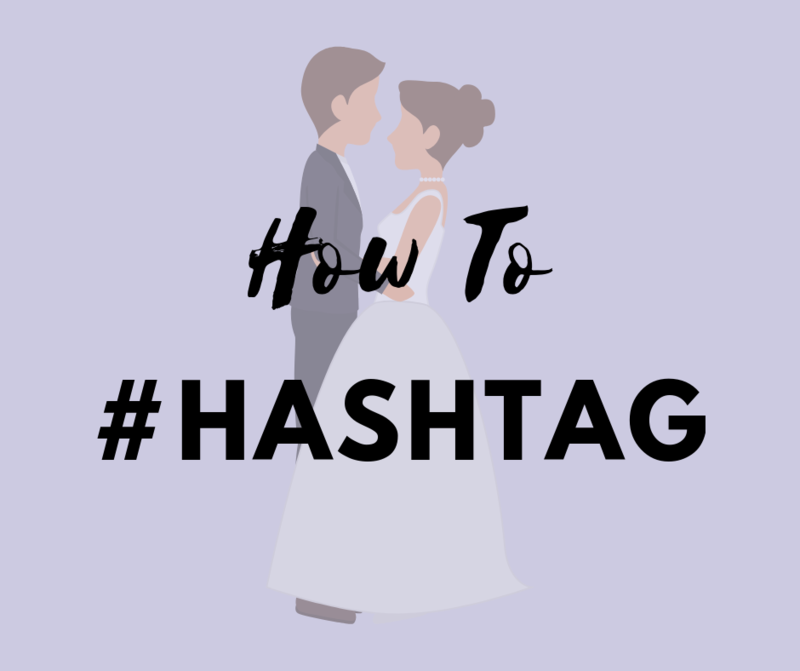 We posted a question on the @silverfoxweddings Instagram story and asked our followers “What is the best wedding hashtag that you’ve seen?” We got a lot of replies and decided to use this information to come up with 6 tips on how to create a wedding hashtag. 1) Make sure it is wedding related! Your hashtag should be relevant to the event. If someone is reading your hashtag and doesn’t know it is for a wedding or about you, change it. It should be completely obvious what the hashtag is representing. Use common wedding terms or something that has to do with you. 2) Keep it short and sweet! Don’t make it too long. If your hashtag has too many characters to post on twitter, that’s a no-go. Short and sweet is the key and will make it easier for the guests to remember and use. 3) It must be easy to spell! Do you have an open bar? Well, your hashtag better be easy to use. Nobody is going to use a wedding hashtag if they can’t even spell it, especially after a few drinks. Even if your guests attempt to spell your hashtag and fail you will never get to see that post. If you have a complicated last name, it may seem unavoidable, but there are ways around it. Try to shorten your last name, use a nickname, or just use your first name if need be. Don’t make the guests think too much. Rhyming is a plus but if you can’t manage that, just make sure it sounds nice and makes sense. Capitalize the first letter of each word to make sure people know #WhatTheyAreReading and typing. If you have a common last name, you might want to check the hashtag first. The whole point of a hashtag is being able to go on Instagram and look at posts from people who used it. Be original, if your hashtag is commonly used you won’t be able to determine which photos are from your wedding and which are from the other couples using #HappilyEverLastname. So many people come up with a hashtag but don’t share it with their guests. Why even spend the time coming up with a hashtag if you aren’t going to ask your guests to use it? Post it up! Use the hashtag on your own photos, the invitation, and have some signs with your hashtag posted around the venue so they can’t possibly forget to use it. We hope these tips help you come up with a simple and unique hashtag for your wedding. Don’t forget to check your hashtag after the wedding to see all of the fun posts and memories!